Your contact page is usually the last thing people see, let's make it easy for them to connect with you! Basic Web Forms and Instant Contact Page™ are included in our free Engage plan. Web Forms and Contact Pages are critical last-steps in converting a website visitor into a lead or customer. 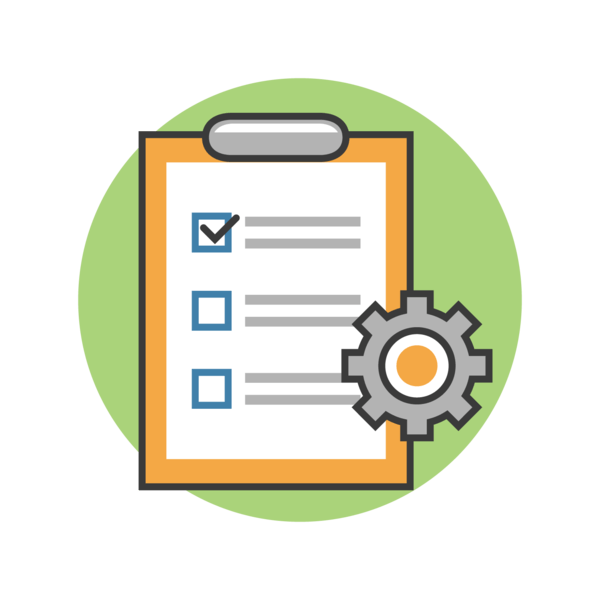 We make it easier to create, deploy, and manage forms and form submissions. All forms are connected to our Local Contact Management Database & CRM. When forms are completed, we notify everyone who needs to be notified via email and the data is added to your CRM so you can find it later even if you delete the notification email. Better yet, when they become a customer you can request Customer Reviews and generate more leads. Let's be honest, there are a lot of bad websites - ahem - "contact pages" out there. Information is incorrect and dated, key information customers are looking for is missing and contact form submissions or emails disappear or get sent to the wrong people. Add it anywhere and it will pull in all of your contact information, create a map and contact form. Plus all of your social media profiles and hours-of-operation are instantly available. Need to update some information on your Instant Contact Page™? No problem. 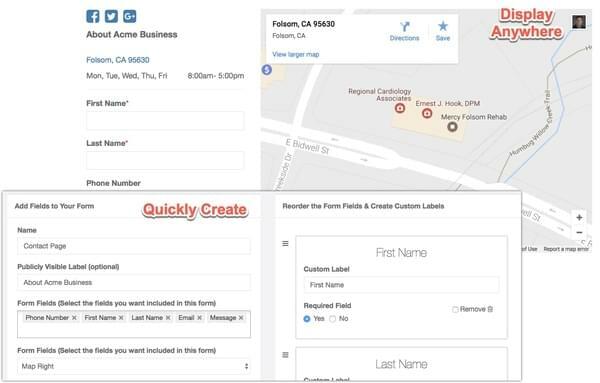 Update the form by updating your Locable account PLUS any linked accounts, hours of operation or other contact information will be updated in real-time!